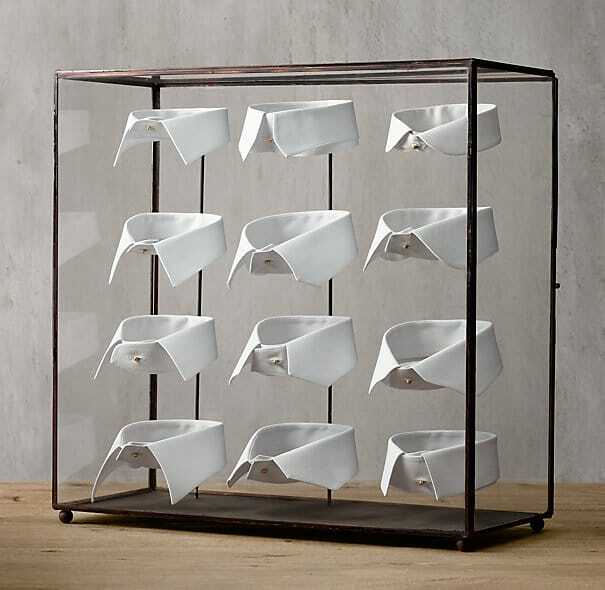 Currently on sale at Restoration Hardware are “Edwardian Tailor’s Collars.” The display case comes in small and large sizes. The large, originally $799, is now half off at $399. 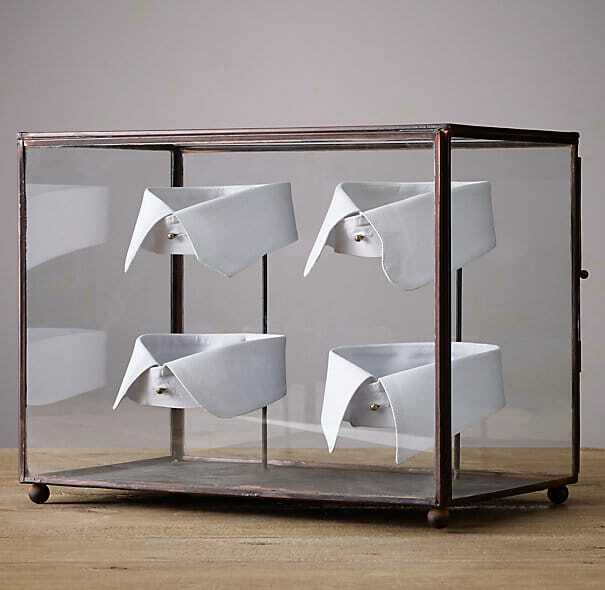 The retailer has other bric-a-brac for menswear enthusiasts. 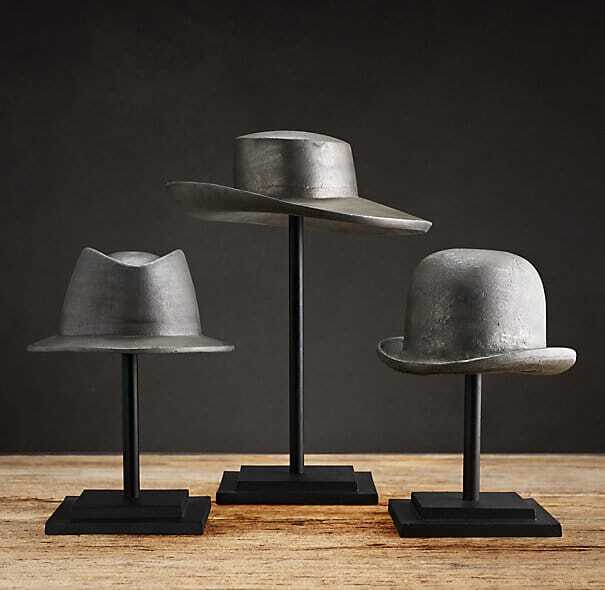 Vintage Hat Molds are on sale for $99-$159 and come in three styles: bowler, fedora and gaucho. Or, as we’d put it: Steed, Bogey and Rudy.